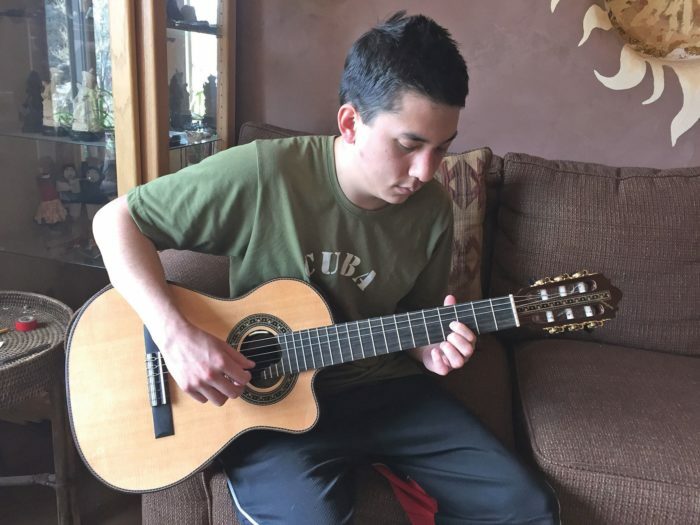 Seniors at Roaring Fork High School this year have been juggling more than just the typical load of classes, extracurricular activities, college applications and job searches. Hannah Bingaman has been training to become an equine therapy rider for children on the Autism spectrum. Cal Branigan has been writing, directing and producing an original 20-minute film. Another senior has developed a radio program in which she interviewed undocumented high school seniors about their hopes and challenges for their future. Each student, with support from Takarabe and other RFHS staff, must write up a plan, connect with a “community expert” or mentor, undertake the project, develop some kind of product or performance that enables them to present their project to others, and write up a reflection about the whole experience. The goal of the capstones, Takarabe said, is that the students “stretch themselves, take risks, and gain something meaningful from the experience.” The most important things that students gain, she said, are not always what they anticipated. When senior Luis Medina-Hernandez decided to develop an inspirational speech to share with young soccer players as his capstone project, he didn’t realize that what would emerge as the most challenging and rewarding aspect of his project would be the process of overcoming his fear of public speaking. The Sun will feature several specific capstone projects in coming weeks. Become a capstone mentor: roaringforkcapstoneproject.wordpress.com.